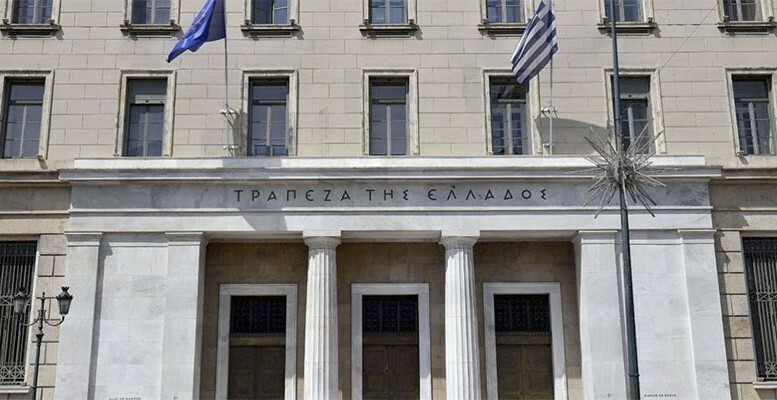 Manos Giakoumis via Macropolis | Greek banks concluded the release of fourth-quarter (Q4) results in the first half of March. All core banks posted net loss at the bottom line largely due to one-offs, higher provisions and seasonally increased operating expenses. 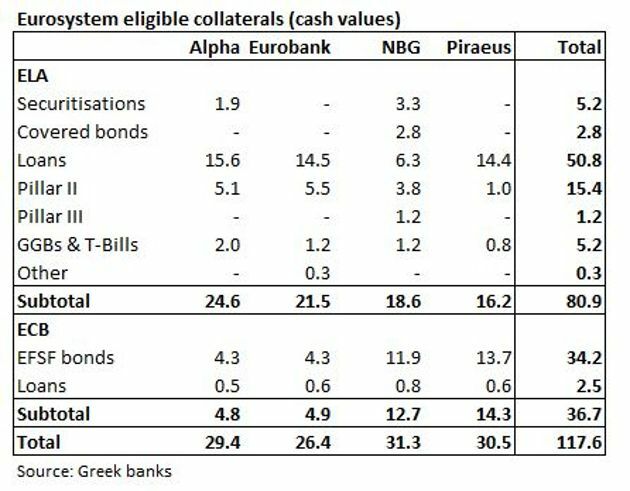 In addition, the cash value of ECB eligible collateral currently stands at 36.7 billion euros. 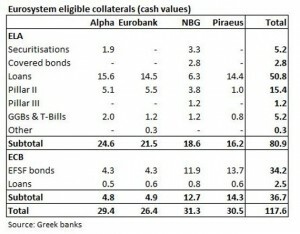 The bulk is EFSF bonds – and more recently ESM bonds for NBG and Piraeus – banks received during their recapitalisation.